People's Choice — DeLee Grant "ARTOGRAPHY"
This photo has always been a favourite of mine. It was taken a few years ago before floods destroyed a portion of the bridge and tree. I like the fact the photo has preserved a moment in time. It has become an annual ritual for me every spring to seek out these precious gifts from nature. 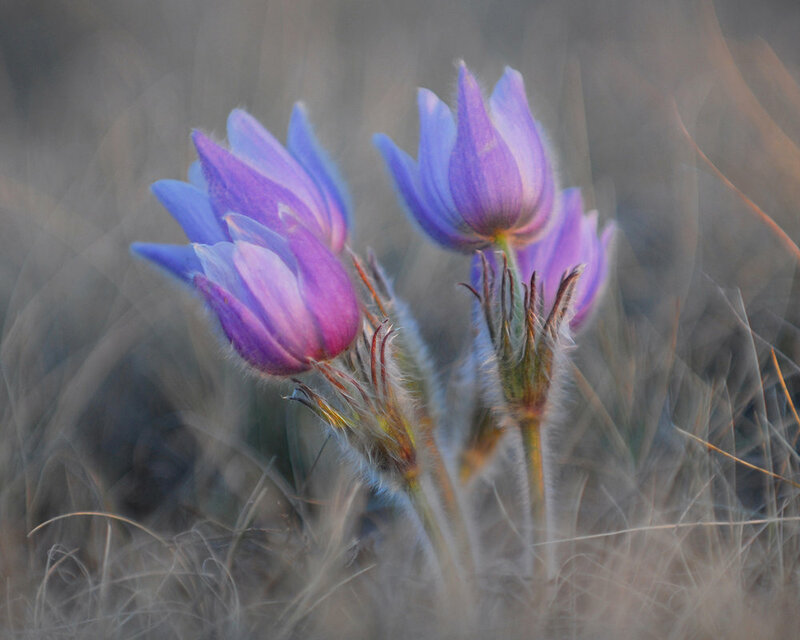 The crocus (Pasqua Flower) is one of the first signs that a long hard winter will soon be over and warmer days are just around the corner. 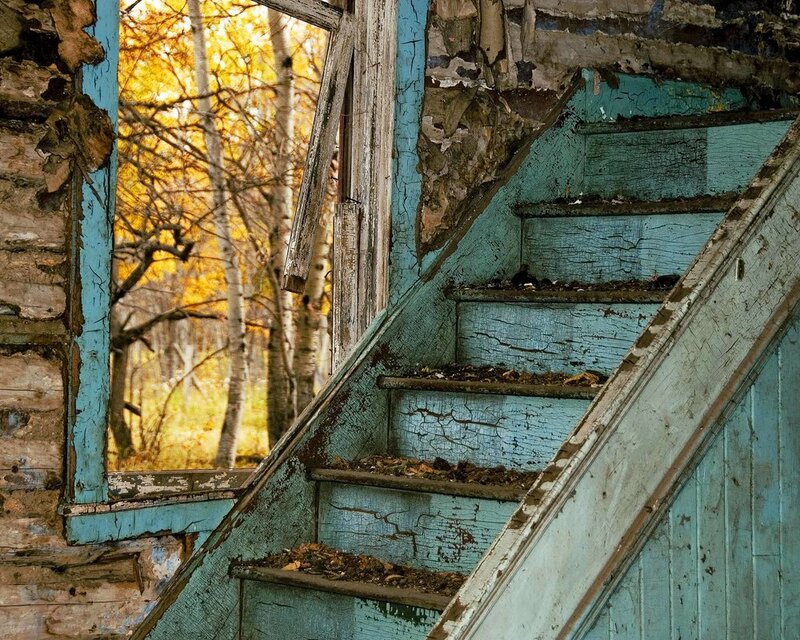 I was attracted to this old homestead with the vibrant peeled interior paint and the golden autumn leaves surrounding it. I can only imagine the many memories the family had in this home. This old relic was no doubt someone's pride and joy at one time. It sat in this location for many years. I photographed it numerous times in all the seasons as it was close to home. One day I ventured out to take some more photos of it and it was gone. I felt like I had lost an old friend. Often there is little remaining in these old homesteads as most of the furnishings and household objects have been pilfered. Much to my surprise, this fabulous old red chrome kitchen chair was left behind for others to enjoy. I could envision my Grandma sitting at the table with a cup of coffee and fresh bread in the oven. Oh so many years ago. 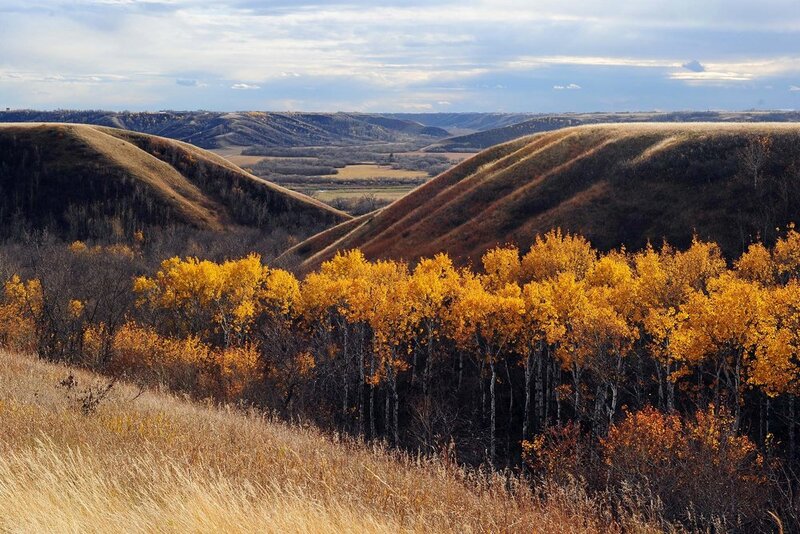 This is a favourite location as it is off the beaten trail in Saskatchewan's beautiful Qu'Appelle Valley. The river and valley derive their name from a Indian Cree legend of a spirit that travels up and down it. They tell the story of a human voice which can be heard calling "Katepwet?" or "Who's calling?". I often paint at the top of these hills. This photo was taken on an early morning walk through the lodgepole pines in the Cypress Hills (Saskatchewan). It is truly a magical place, especially with the early morning mist. 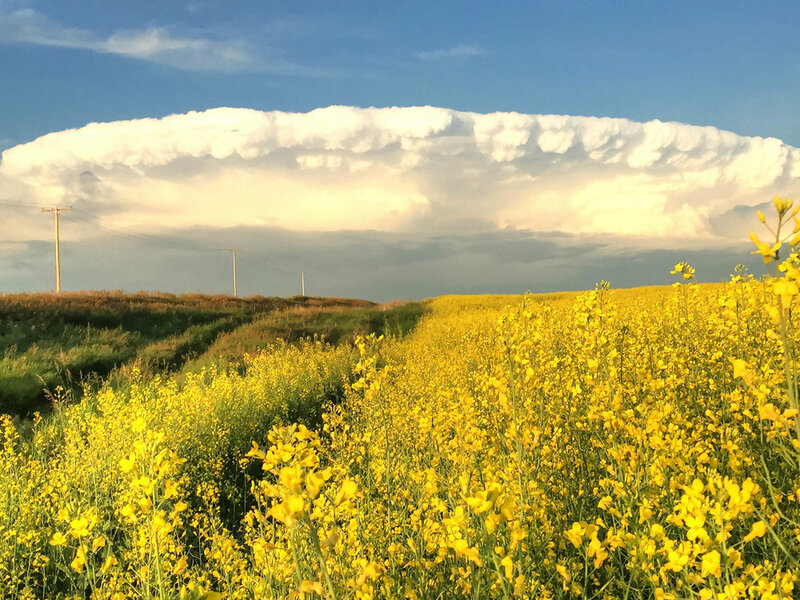 During an early evening drive near Rowan's Ravine, we were amazed to see this strange cloud formation hovered over the brilliant yellow canola field. You never know what will appear in the Saskatchewan skies. This little church is very special to me. It was built over 100 years ago. The light, atmosphere and surrounding changes with the seasons so it is always an inspiration to me. It is one of my favourite subjects to paint and photograph (something like Monet and his haystacks). 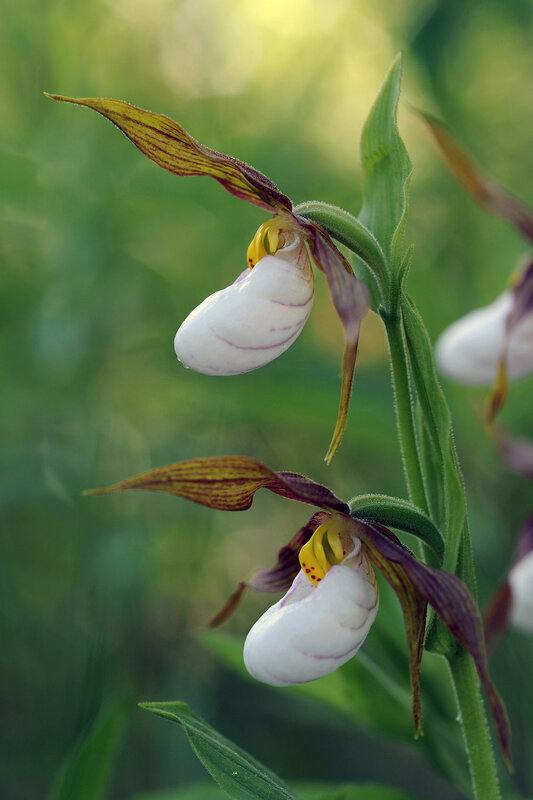 These lady slippers are wildflowers which grow in the Rocky Mountains. Every year we trek to Waterton National Park (Alberta) in the early spring to seek out these beauties. They are short lived, so the timing and conditions have to be just right. The winds of Waterton sometimes make it tricky to photograph them with their delicate blossoms. This quirky fellow was having his lunch in Tanzania, Africa. I decided to adjust this one to BW to show off the amazing patterns in his coat. They were the most interesting animals to watch with their lumbering gates and expressions. I wonder how many miles these old wagons travelled before they were retired? I am sure if they could talk they would have many interesting stories to tell. I went for a hike one day and was actually laying in the grass photographing a wildflower. I happened to look to my side and this curious fellow was peering through the grass as if to say "What's up Doc?" If you don't know where that expression came from just check out BUGS BUNNY. This photo was taken in Amsterdam. I think it is one of the most beautiful cities in the world. I spent hours one night standing by a fountain outside in the rain waiting for a perfect "Night Rider"